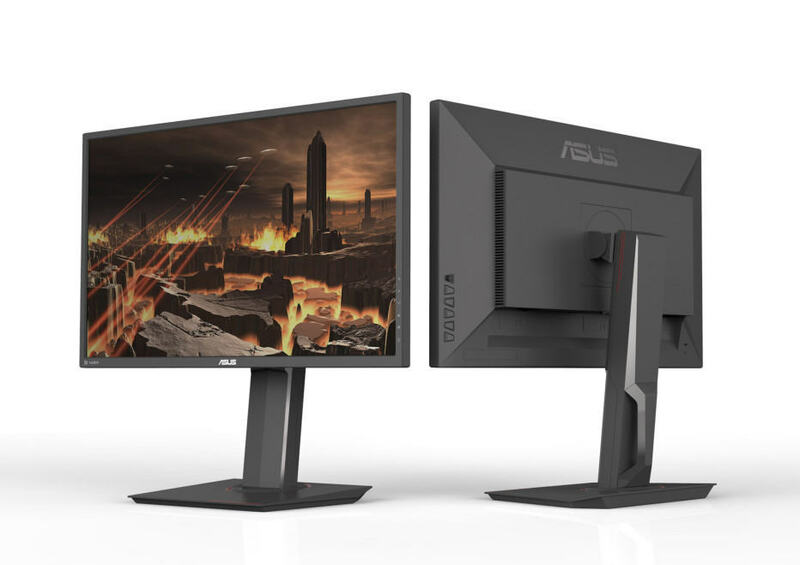 ASUS has announced a new 24″ 1080p 144Hz 1ms gaming monitor dubbed as the ASUS VG248QG. 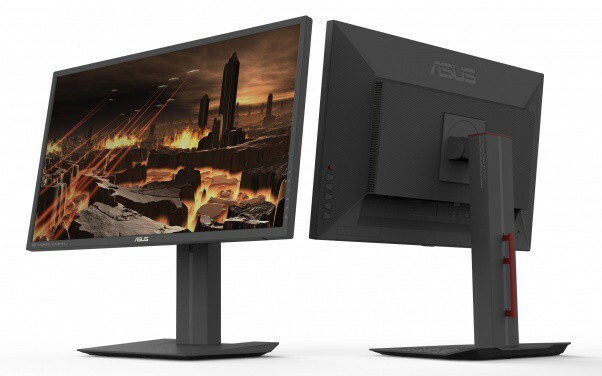 This model seems to be the successor to the popular ASUS VG248QE. As such, it will offer updated features including AMD FreeSync and Motion Blur Reduction instead of the outdated NVIDIA LightBoost and 3D Vision technologies of the VG248QE model. Hopefully, it will also come with better colors out of the box. 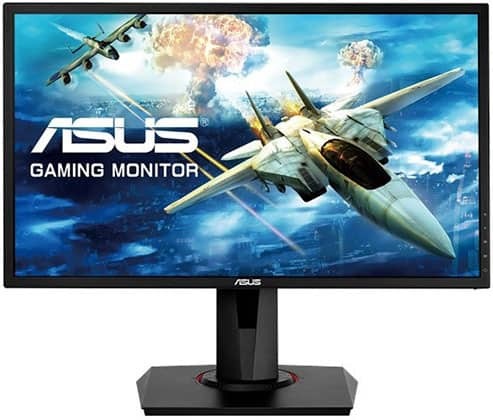 The ASUS VG248QG is based on a standard 24″ TN panel by AU Optronics with a 350-nit peak brightness, a 1,000:1 contrast ratio, and 8-bit color depth via dithering (6-bit + 2-bit FRC). Other specs include the Full HD screen resolution, a 144Hz refresh rate, and a 1ms response time speed for the optimal performance in fast-paced competitive games. The monitor will also be flicker-free (unless the blur reduction technology is enabled) and have an integrated low blue light filter. You can also expect the standard TN-panel viewing angles of 170° horizontally and 160° vertically. Unlike the older VG248QE model without adaptive-sync, the ASUS VG248QG will support AMD FreeSync with a 40-144Hz dynamic range over DisplayPort. FreeSync allows you to synchronize the monitor’s refresh rate with the GPU’s frame rate which consequently, eliminates all screen tearing and stuttering within the variable range which in this case amounts to 40-144Hz/FPS. Should your FPS rate dip below 40, LFC kicks in to double to the frame rate in order to maintain smooth performance until the FPS rate is back on track. Alternatively, you can use the ASUS Extreme Low Motion Blur Reduction technology which via backlight strobing reduces the perceived motion blur and ghosting. Unlike NVIDIA LightBoost, this blur reduction technology will work with both AMD and NVIDIA GPUs without any fiddling with the drivers and third-party software necessary. Also, note that you cannot use FreeSync and Motion Blur Reduction simultaneously. Furthermore, the ASUS VG248QG will offer the ASUS GamePlus and GameVisual features which consist of crosshair overlays, an on-screen timer, an FPS counter, and gaming picture presets such as FPS, RTS/RPG, MOBA, and Racing. 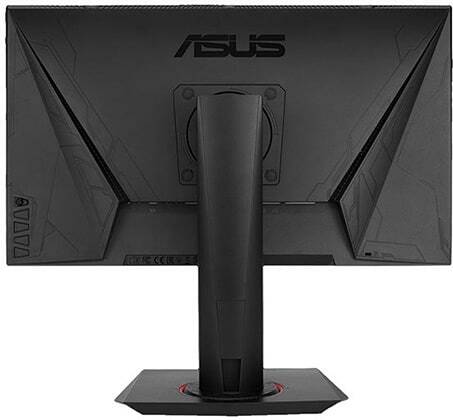 Just like the previous model, the ASUS VG248QG will have a fully ergonomic stand with up to 130mm height adjustment, -5°/33° tilt, +/- 90° swivel, and 90° rotate as well as 100 x 100mm VESA mount compatibility. Connectivity includes a Dual-Link DVI-D (1080p 144Hz), an HDMI 1.4 (1080p 75Hz), a DisplayPort 1.2 (1080p 144Hz and FreeSync), a headphones jack, and two 2W integrated speakers. The monitor will also have an anti-glare screen coating and a 5-way joystick for the OSD (On-Screen Display) navigation. 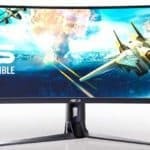 The ASUS VG248QG price and release date are unknown at the time of this writing though you can expect it to be around $250-$300. If you are looking for a similar monitor, be sure to check out our buyer’s guide on the best gaming monitors currently available.